I love this stamp too (uhm... okay, I love all of them), but this would have to be my very favourite. I've put this one into the swap at Scrap Pile, so hope you gals enjoy colouring it as much as I did. 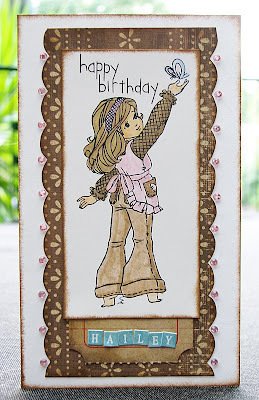 I made this card for my sister-in-law, Hailey! A very Happy Birthday for yesterday!!! 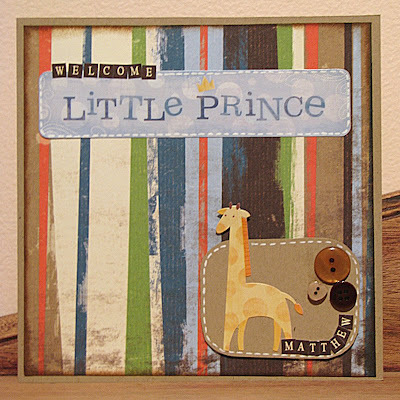 I also just whipped up this cute little card for a friend of ours, who has just had an adorable little boy, Matthew. I love these cards, Leah.